Ridgewood Energy is an energy-focused private equity firm with offices in Houston and New Jersey. Since 2008, Ridgewood Energy’s dedicated team of industry professionals has leveraged Technology, Expertise, and Discipline to build a diverse portfolio of assets in the Deepwater Gulf of Mexico. Ridgewood Energy’s team of geoscientists and engineers utilize state-of-the-art seismic and drilling technologies. Through the rigorous application of advanced 3-D seismic imaging and processing technologies, our team is better-equipped than ever before to develop a robust understanding of subsurface geological formations. In the field, our operating partners can now employ enhanced directional-drilling technologies to target potential reserves. Ridgewood Energy’s investment team includes industry executives with decades of experience at leading energy companies. 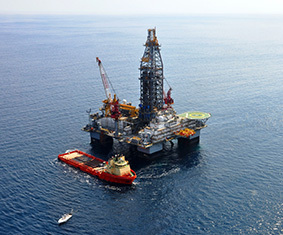 Our expertise spans across all disciplines relating to successful oil and gas exploration, development and production. Ridgewood Energy applies a highly-disciplined evaluation process across a broad range of opportunities, and selects only those projects that meet the firm’s high standards for investment. We participate in annual Federal offshore lease sales alongside industry partners. We also acquire leasehold interests and participate in projects that exhibit compelling prospectivity.